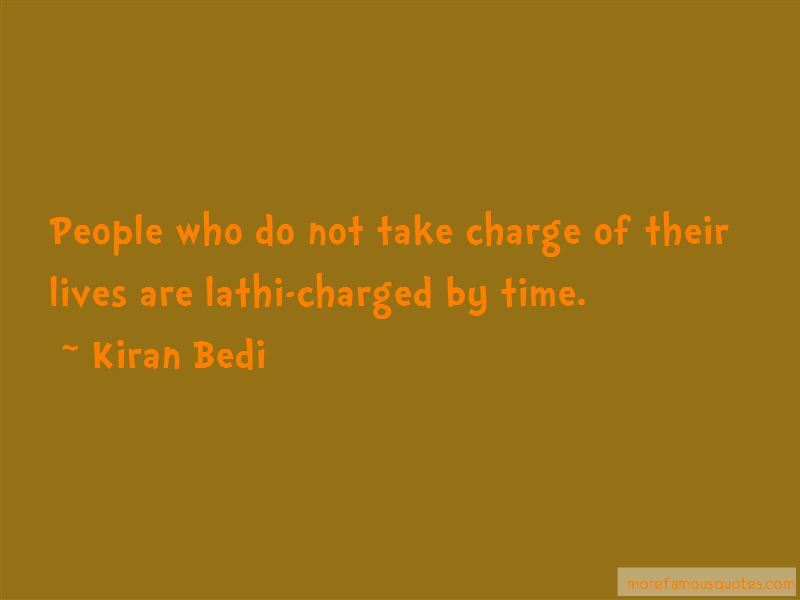 Enjoy the top 10 famous quotes, sayings and quotations by Kiran Bedi. I believe in prayer. 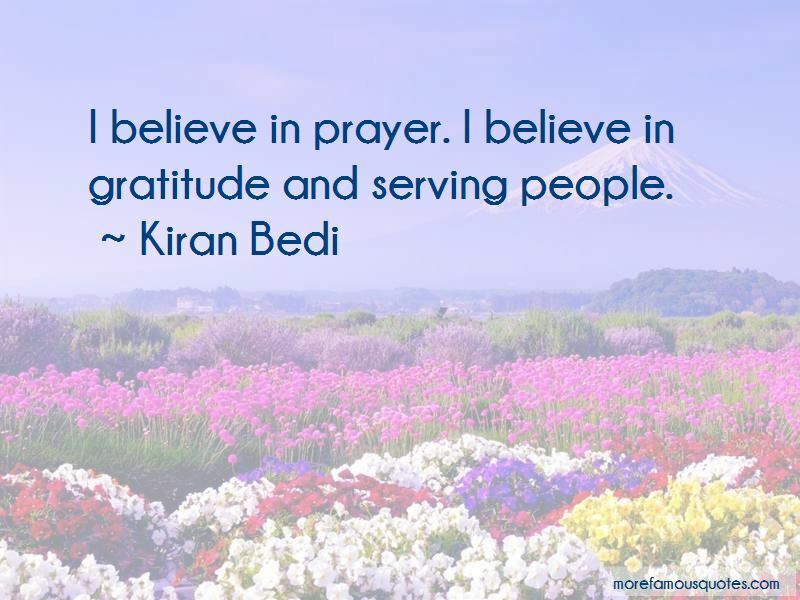 I believe in gratitude and serving people. People who do not take charge of their lives are lathi-charged by time. My motto in life is that nothing is impossible, no target unachievable - one just has to try harder and harder. 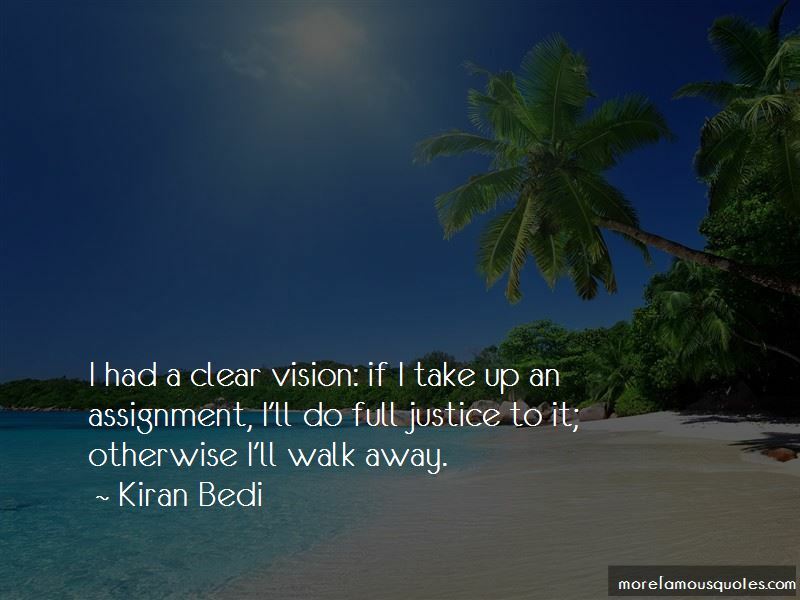 Want to see more pictures of Kiran Bedi quotes? 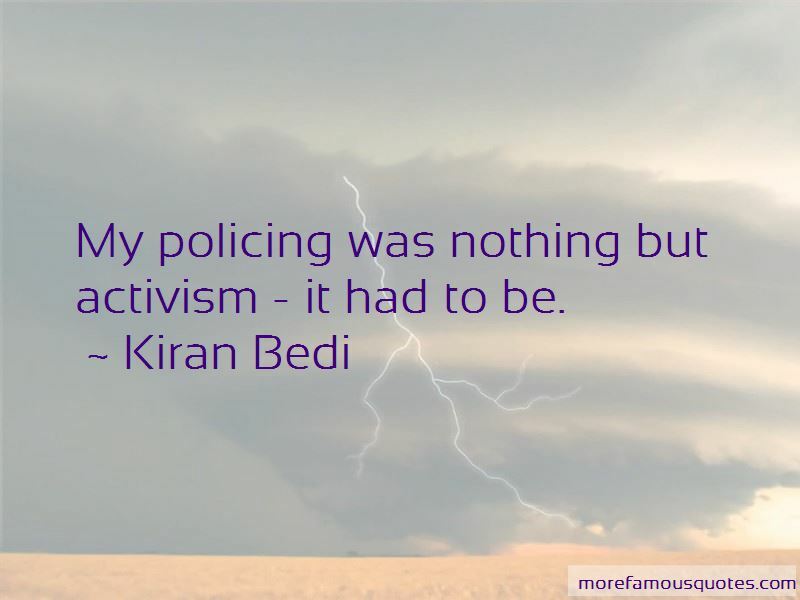 Click on image of Kiran Bedi quotes to view full size.